Although most limo companies claim they provide the best service in Massachusetts, Boston LX Limo is clearly dedicated to providing the best possible transportation. They ensure each of their chauffeurs are trained, not only in advanced safe driving but also in customer service. This means that you not only have a knowledgeable guide to get you to your destination on time but a dedicated assistant in making your day go as smoothly as possible. Add to this their amazing prices and you’ll be booking your town car or stretch limo in no time. When Michael and James founded Plaza Limousine, they wanted to provide the most professional and reliable limo service in Boston and throughout the entire state. Viewing their long list of endorsements it is clear that they have achieved this. 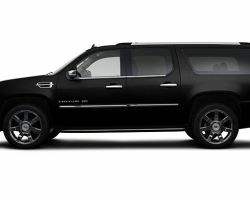 They are the official transportation company of the Boston Red Sox World Series Trophy and many other VIP organizations. The company achieved this high status through old-fashioned customer service, developing their fleet with contemporary models and providing an excellent limousine service every time without fail. As a relatively small company, Met Boston Limo is able to keep each of their vehicles in prime condition and their chauffeurs motivated and highly trained. Even though they are smaller than other limo companies, they have an impressive fleet that grants a lot of choice to any couple searching for wedding transportation. Although they are not cheap, for the luxury that they offer it is remarkably affordable. Their team works closely with each customer to ensure they are meeting every need and desire they may have. With over two decades of experience in chauffeured transportation, Boston Limo really is at the very top of companies offering limo rentals in Boston, MA. They guarantee that their staff is the highest quality drivers in the country and each one is trained to go the extra mile in customer care throughout the entire journey. Not only is this company renowned for their service, but their rates are surprisingly competitive, which makes them available for most couples on their wedding day. 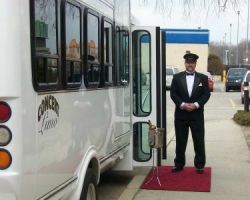 Michael Callahan, the owner of Able Limousine, has many years of experience in the transportation industry and finally started his own company in 2001. Since then his company has become known throughout the state for providing top-notch services every single time. 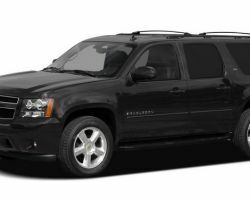 For wedding transportation, Able Limousine has developed a package that can be tailored to suit every couple. They have even introduced a green option for those environmentally concerned couples, which just goes to show that they have thought of everything. As a Boston limo service that is predominately focused on corporate services, LTI Worldwide Limousine has developed their service for many years. Having set up in 1987, they have developed their fleet with the times and acquired ultra-modern vehicles for their customers. Some things have stayed the same such as good old-fashioned discreet customer service and attention to detail. Their focus on business does not mean they only deal in airport transportation and meetings but also can fully accommodate a sophisticated and elegant couple on the way to their wedding. As a proud limo service in Boston and all of Massachusetts, All Points Limo Service has now been in business for over five years. In this time they have grown to be a family based on the aim to become more than just a limousine company. They know that it is paying attention to all of the small details that makes the occasion even more special. For this reason they have developed their wedding package to make the couple’s big day stress-free and full of elegance. 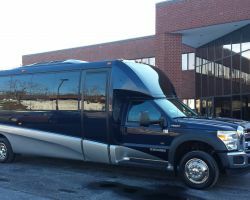 When it comes to most limo services in Boston, they can only accommodate for stretch limos. 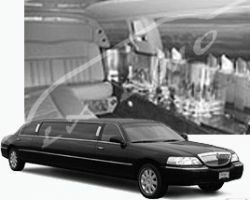 At Concert Limo they have specialized to cater to larger and more exciting journeys. 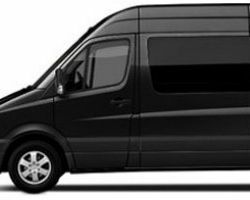 Their range of party buses is great for an alternative to boring traditional prom limos and also for bachelorette or bachelor parties going for a night on the town. Also they have a unique range of trolley bus rentals for that quirky ride to put an edge on your event. At Regis Limousine they are convinced that they are the one-stop shop for any couple looking for elegant luxury transport for their wedding. By viewing their executive fleet and their attractive packages you can see they are right. With a service that has been perfected for over two decades, they now have the right balance between affordable rates and the best service in the state. Regis Limousine guarantees complete satisfaction due to their reliability, professional chauffeurs and remarkable special offers.